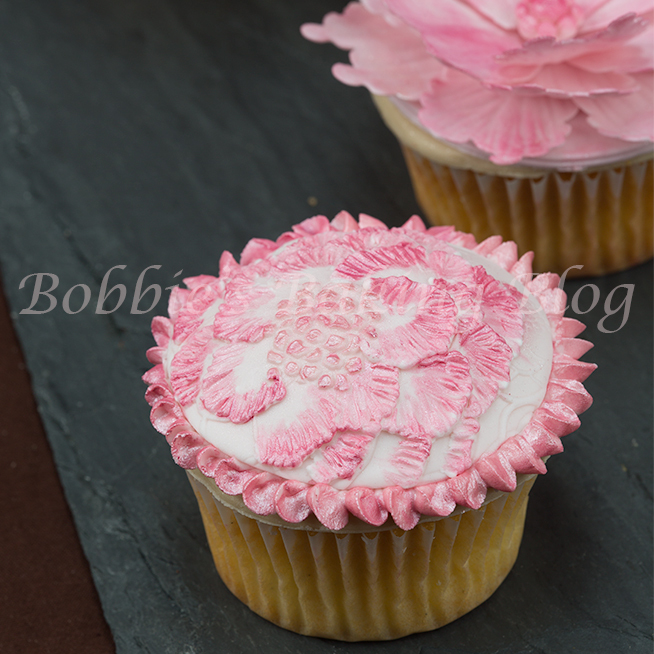 So many of you have asked if it was possible to create a sugar peony for a cupcake. 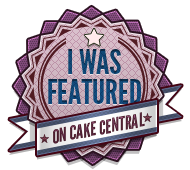 I thought why not… As I have proclaimed in the past, cake decorating is not limited to cakes; you can use the same method for your cookie art and cupcake art. 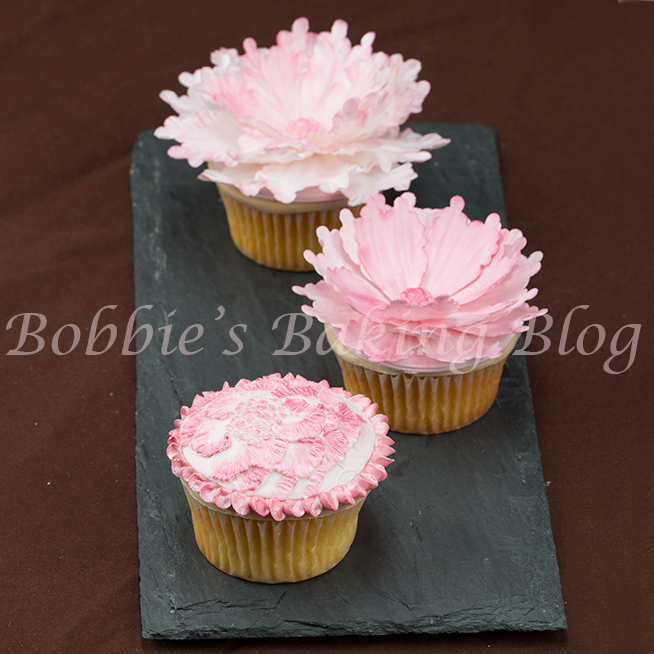 I designed three separate peonies methods for these cupcakes and just for fun I flavored them with edible dried peony petals . 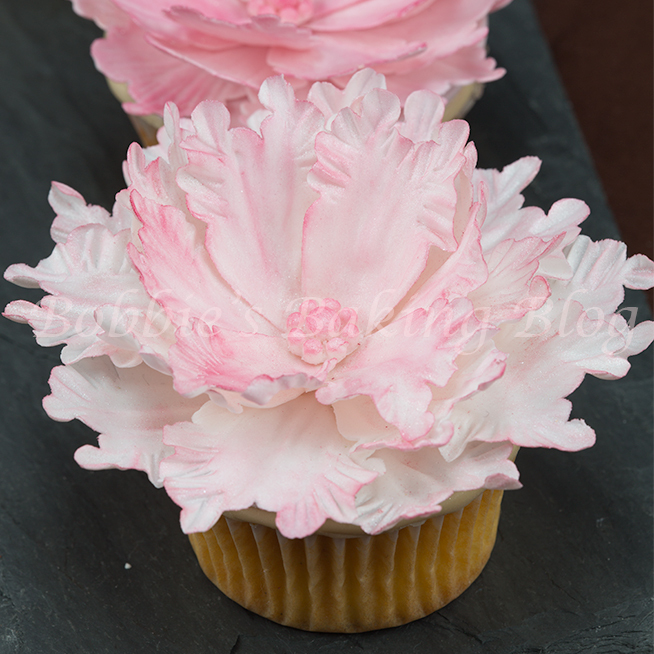 The peony cupcake in the front contains individual petals that I veined and frilled. 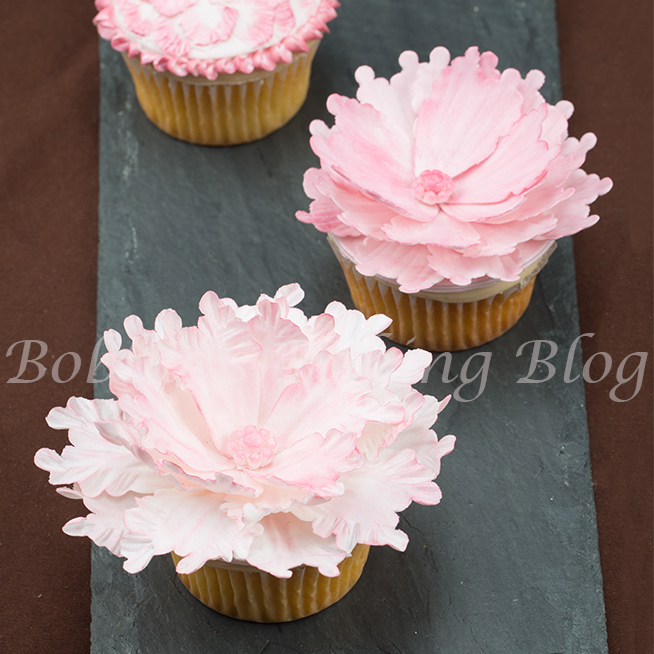 The middle peony cupcake has individual petals that have been lightly veined, but not frilled (less time consuming). Finally the back peony cupcake has a brushed embroidered peony making this one the fastest cupcake to construct. All of them are lovely and will impress the recipient. The petal are created with 50/50 paste..therefore the petals will remain soft in the inside! Brush embroidery peony cupcake with a ruffle boarder! Prepare your mise en place. Prepare your royal icing cornets with off peak consistency and nozzles. 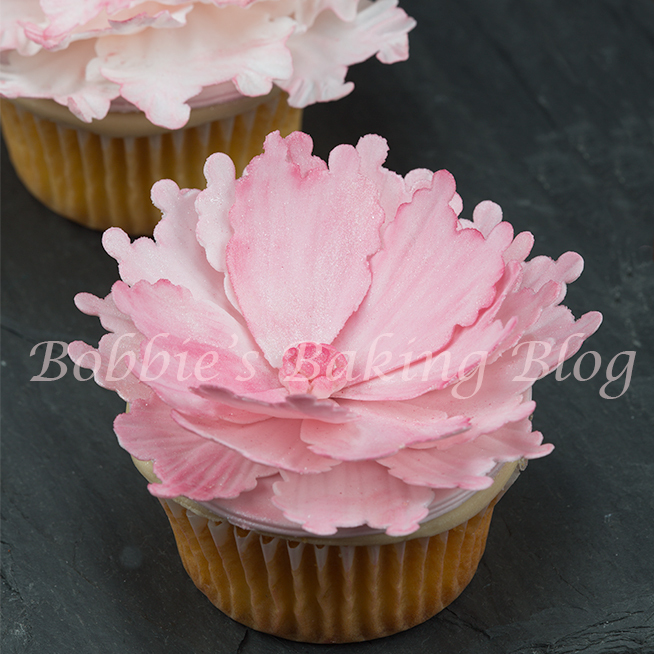 The individual petal peony takes the cupcake to the next level! Mix 50/50 fondant and gum paste, colour the paste with 1/4-toothpick dusty rose/wine. 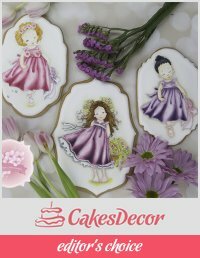 I would love to see your peony cupcakes and/or flowers. 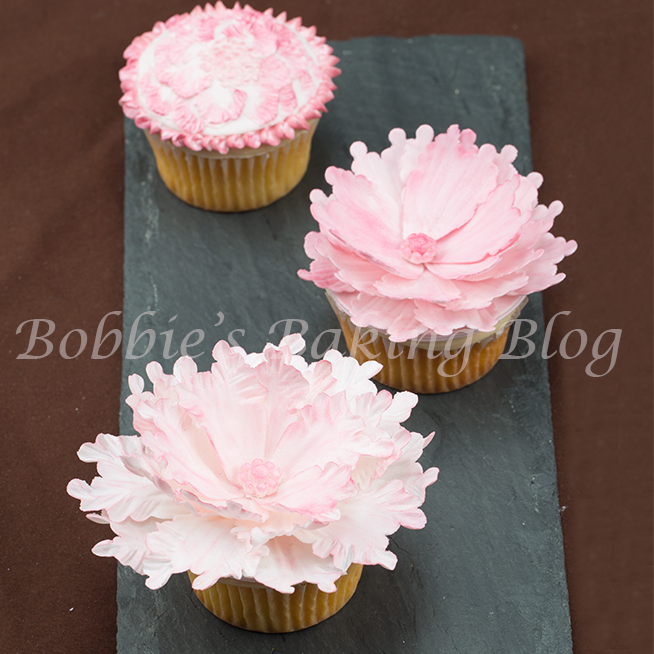 Whether you choice the individual petals peony cupcakes or brush embroidery peony cupcake they will be a crowd pleaser! Wow, your peony is beautiful! These are beautiful. 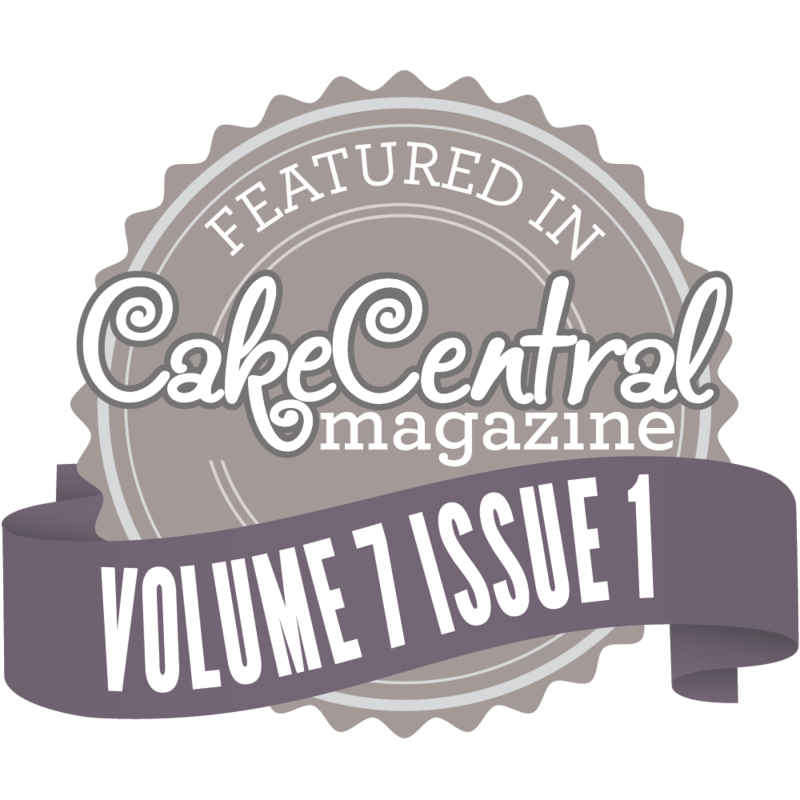 Absolutely love your cupcakes. I just learned to Brush Embroider last week and I have been dying to make something with them. Thank you so much for the video. It explains the process and shows you all the steps. Thank you so much.